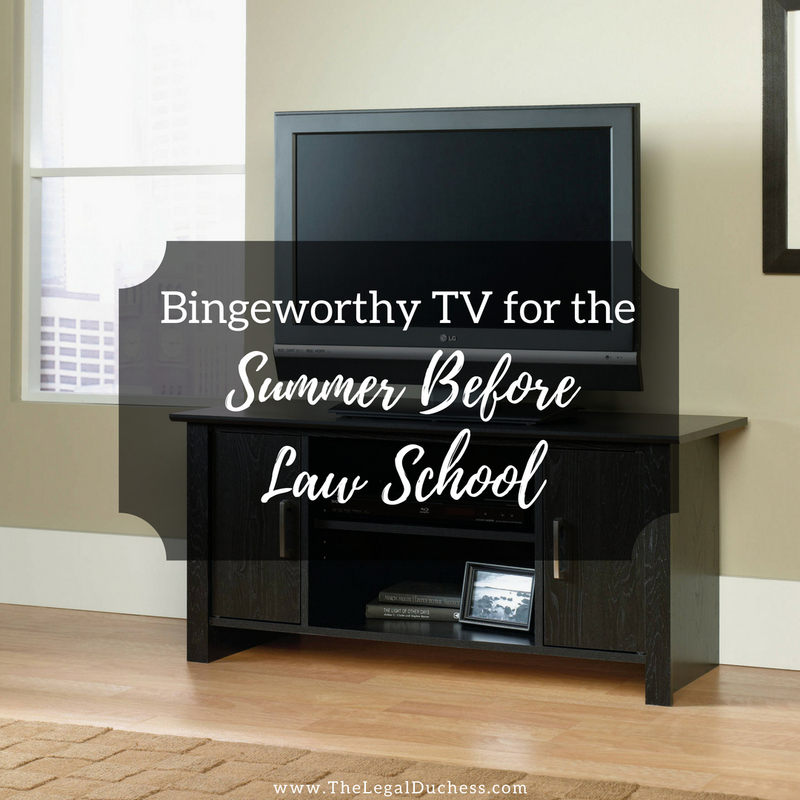 Who doesn't love a good TV binge on Netflix? My husband and I seem to always be starting a new binge on Netflix or Amazon Prime... that's what fills our Friday and Saturday nights because we are clearly wild 23-year-olds... not. Here is a list of a few of my favorites that would be a great way to relax and get in some good TV time before law school and reading cases consumes your life. Honestly, the best binge of all time. I have watched it all the way through multiple times and I just love it. My dream job will always be Dunder Mifflin. This got me through second semester of 1L year- it's just such good fun and such lovable characters. Leslie Knope is queen. Oh my.... what a rollercoaster this show is but I loved every minute. Legend-wait for it-ary. This show is just so heartwarming. It shows history and the miracle of life in such a beautiful and realistic way through 1950's London. Drama.... 1920's style. Fall in love with Downton, Matthew Crawley and the life of early 20th-century life in the upper crust of English society. This show is just so stinkin adorable and hilarious. It is a great laugh and is pretty short so it's a good in between binge. Who doesn't love them some fast talking, coffee loving Gilmore Girls???? I have loved this show since I was young and it never disappoints with a laugh and a good storyline. Also, the new episodes int he revival are wonderful in my opinion. This may only have one season but boy is it a good one! A steamy drama about two lawyers in the south is such a good, quick binge. It may not be realistic about how the law actually works but it's fun regardless. The best advice I have for the summer before law school is to just enjoy and have fun! You have plenty of time to work hard later.